We had quite a scare last week, on April 30th around 12:30pm, after getting a report from an observer of our Osprey Cam on our Facebook page. 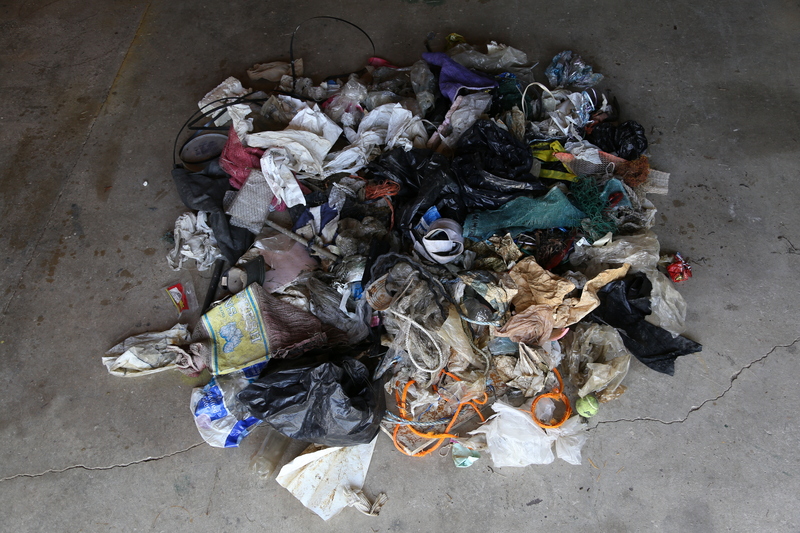 A single use plastic shopping bag had gotten wrapped around the neck of the incubating female. After getting the report we started to monitor the situation to see how it would unfold. The bag was loosely wrapped, so we hoped she would be able to free herself…which she did after an hour. Here you can see the single use plastic bag around her neck. A lot of viewers and FB fans were asking why we weren’t going out to remove the bag from her neck. We answered each and every question to help make sure people knew that we were doing everything we could to protect her safety. First, we couldn’t just walk out to the nest (which is out in the middle of the salt marsh) without the female reacting to us and flying off the nest (with the plastic bag around her neck). Her flying off the nest with the bag around her neck would have only caused even more harm to her. She could have gotten snagged on a piece of nesting material and in the struggle could have choked to death or she could have fractured one of her eggs… Second, if she would have been tied down to the nest, then we would have enacted a plan to go out to the nest (after a certain amount of time) and released her. Our policy is that we will only intervene if it is a life or death situation. When we enter their nest sites we introduce stress to the birds which can ultimately do more harm than good. Finally, at least we have a camera to monitor the nest! Think of all the other 500+ nests in New Jersey where we only go out to monitor them once or twice during the nesting season. 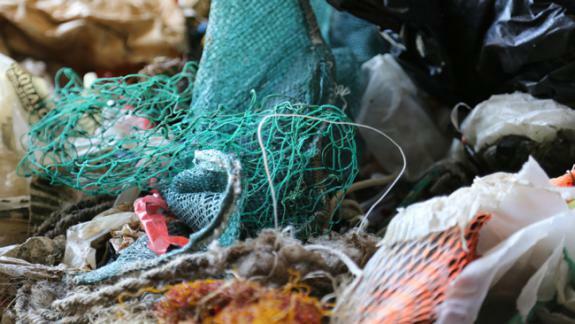 So much plastic winds up in osprey nests that it is a serious concern. 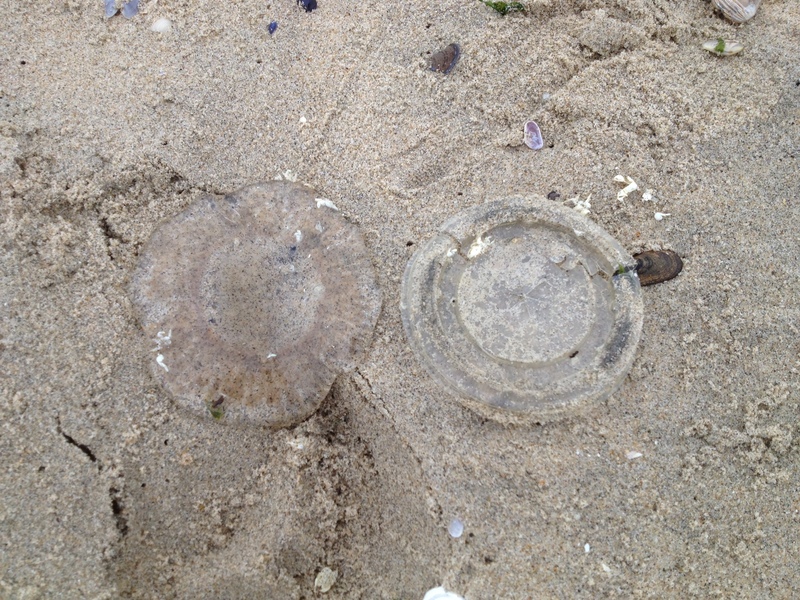 People need to be more aware of their surroundings and do their best to make sure waste is properly disposed of. The female struggles to get free of the bag. Statistics for plastic recycling are dismal… According to the U.S. Environmental Protection Agency “In 2010, the category of plastics which includes bags, sacks, and wraps was recycled at almost 12 percent.” We’re lucky that she was able to free herself. 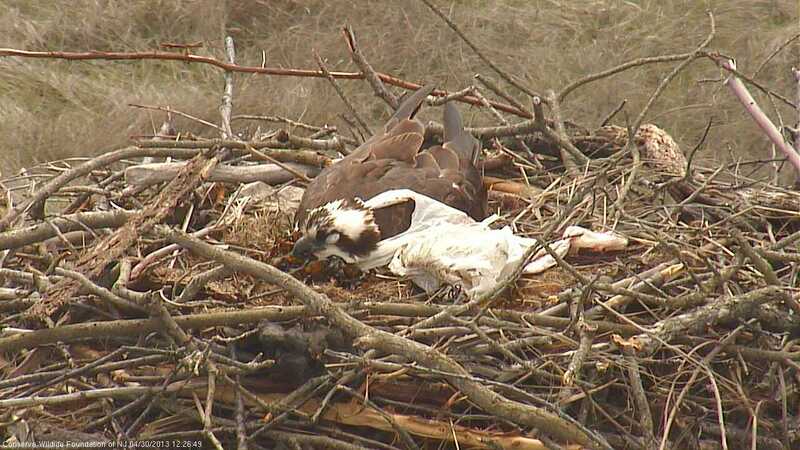 This just proves that ospreys do not have an easy life. There are many threats to ospreys and they have very high mortality rates, which are around 80%. On the positive side, the female and male continue to incubate three eggs at Edwin B. Forsythe NWR. We should start to watch for hatching around May 19-20th. 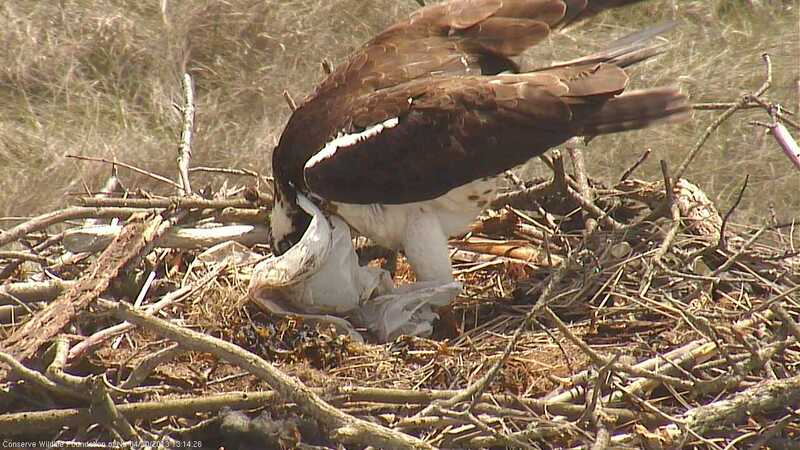 We have been writing nest news with other life history information on a weekly basis on our Osprey Cam page. Posted in Education, Raptors | Comments Off on Reduce, Reuse, Recycle! !